With Philadelphia on track for another record year of drug overdose deaths, a mayoral task force on Friday proposed remedies from stepped-up campaigns against stigma, to considering something no U.S. city has done, allowing safe sites where drug users can inject heroin. Advocates praised the report's scope, and the fact that it sets benchmarks to measure success. "We have seen the costs of inaction on epidemics in the past and cannot let that happen again," Mayor Kenney said at a City Hall news conference held with Gov. Wolf. City health commissioner Thomas Farley, a physician and task force co-chair, emphasized that there is evidence supporting protected injection sites, as well as major legal challenges. He also said his profession must accept its share of the blame for the deadly epidemic, with the vast majority of heroin users saying they started on prescription opioids. "What is different about this epidemic is how much it is due to the medical community," he said. Broadening access to medication-assisted treatment was a major theme of the report, as was expanded distribution of the overdose-reversal medication naloxone. "We want people to stay alive before they get into treatment," Farley said. 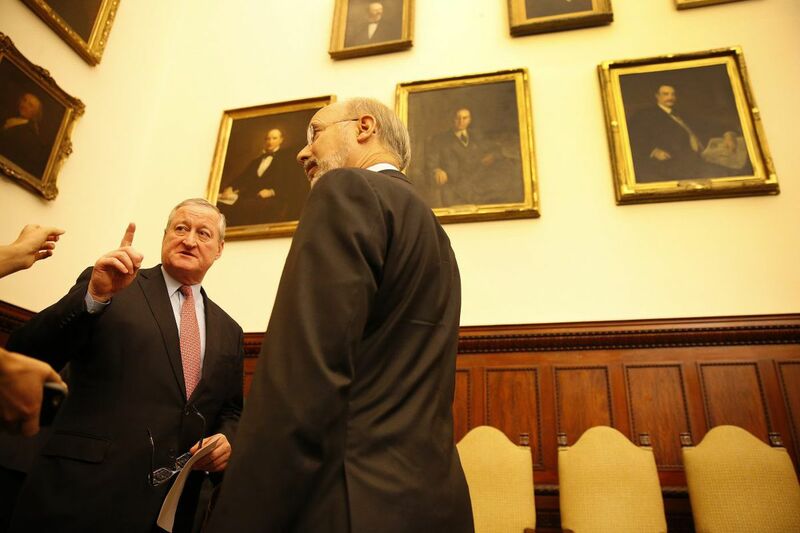 Mayor Kenney announced the task force on Jan. 11 and it began meeting one week later. Meanwhile, overdose deaths continue accelerating, according to the Medical Examiner's Office. If the current pace continues, 2017 will see nearly 30 percent more than the 907 fatalities recorded last year, which was 30 percent ahead of 2015. The spike is being driven largely by the synthetic opioid fentanyl. Last year's statewide increase was similar, according to the U.S. Drug Enforcement Administration, which is collecting statistics from coroners around Pennsylvania. Task force co-chair Arthur C. Evans Jr., former commissioner of the city's Department of Behavioral Health and Intellectual disAbility Services, said there was broad agreement on many issues, including the role of stigma in the opioid crisis. "That really complicates our ability to deal with this problem," he said in an interview. "Ninety percent don't come into treatment, 80 percent of them don't believe they need treatment," said Evans, who now is CEO of the American Psychological Association. Attitudes also get in the way of opening new treatment centers, Evans said, noting that overdose rates in Northeast Philadelphia are comparable to those in the rest of the city but that it took seven years to place a methadone program there because of neighborhood opposition. Education about the dangers of opioids was another item all members agreed on. The city has already begun "Don't Take the Risk," an advertising campaign on cable and broadcast television and social media that features people who have been addicted to prescription painkillers or lost family to overdoses. The tagline: "Prescription opioids: heroin in pill form." Establish health insurance rules that support safer prescribing and appropriate treatment. They would include prior authorization for opioid prescriptions; increased coverage for alternative pain treatment and also for treatment of addiction. Create systems for emergency rooms to make "warm handoffs," so that patients whose overdoses have been reversed are sent directly for treatment. The reversal medication puts users into painful withdrawal, making them more likely to seek out opioids and overdose again. So ERs would be encouraged to start them on medications like buprenorphine to help them manage withdrawal symptoms. Provide comprehensive treatment — including behavioral therapy and medications like methadone — to all inmates with substance-use disorders in Philadelphia prisons. U.S. Health and Human Services Secretary Tom Price earlier this week said that treating addiction with drugs was just "substituting one opioid for another" — an assertion that brought an immediate response from nearly 700 researchers and practitioners around the country urging him to "set the record straight" and heed evidence showing that medication-assisted treatment has been proved effective. Set up an early warning system that would allow public health officials to identify overdose surges immediately to improve response. "Last Friday the Fire Department responded to seven overdoses before noon, all in zip code 19134, and our staff responded to three in addition," Jose Benitez, executive director of Prevention Point Philadelphia, said in an interview. "So we are on the phone talking to each other, because they know to call us, we know to call them, but the reality is there is no sort of early warning system." Caleb Alexander, co-director of the Center for Drug Safety and Effectiveness at Johns Hopkins Bloomberg School of Public Health, applauded the recommendations but said the real test of success will be follow-through and funding. Available resources, he said, are "going to make a huge difference." Task force members decided early on that they "wanted to be aspirational but also have actionable items," Evans said. That is why the final report recommended exploring, but not immediately pursuing, the creation of safe injection sites where users could inject heroin under medical supervision to protect against overdose. The concept behind this "harm reduction" measure is similar to that of programs like Prevention Point, which operates a needle exchange, provides health care and helps get users into treatment. If they are not ready to stop using, having clean syringes at least protects them from infectious diseases like HIV and hepatitis C.
Safe injection sites — dubbed "comprehensive user engagement sites" in the task force report — were "vehemently discussed" but raised big questions for law enforcement, said Patrick J. Trainor, a DEA special agent who attended many of the meetings. "Say somebody goes to a safe injection site, gets in a car, is driving home on I-95 and overdoses and kills a family of six," Trainor said in an interview. "You can't discuss safe injection sites and not include that conversation." Such sites are illegal in the U.S. but operate in Vancouver and some European cities. Scott Burris, director of the Public Health Law Research Center and a professor at the Temple University Beasley School of Law, said in an email from Denmark, where he is a attending a conference, that he hoped the recommendation to "further explore" the concept meant that Commissioner Farley "would get right to work" on it. "There will never be a better time to do it: we have a need — a crisis; we have a solid evidence base; we have a nucleus of community support; it even looks like we will have a sympathetic DA," Burris said, referring to civil rights attorney Lawrence Krasner's victory in Tuesday's Democratic primary for district attorney. Burris — one of about 100 experts who participated on the task force's five subcommittees but had minimal involvement with the final report — was an early national advocate for widespread use of naloxone, the opioid-overdose reversal medication, which has been credited with saving thousands of lives. While Harrisburg has committed $200,000 to supply more than 5,000 additional doses of the emergency medicine to city police, the report also recommended broader distribution to the community of people at risk. 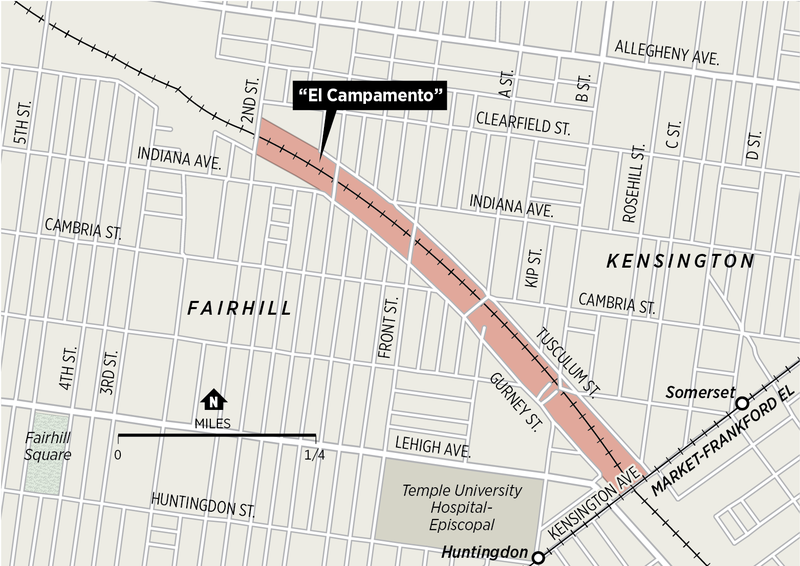 The report did not mention the encampment, and Kenney said at the news conference that talks with Conrail aimed at cleaning up the site were continuing. The final report was distributed to the task force's 23 members just minutes before the City Hall news conference. Some were surprised to see what it contained. "I'm happy," said Devin A. Reaves, a panel member who had feared his input wasn't being seriously considered. "It is a pretty good report, man," said the executive director of Life of Purpose New Jersey, who said that several others had responded similarly. David R. Gastfriend, a Boston-based physician and scientific adviser to the Treatment Research Institute in Philadelphia, was listed as a senior editor and said he had suggested extensive changes to an earlier draft. He, too, was surprised at the final version. "They didn't cut out the stuff that's expensive, or the stuff that's hard to do, or the stuff that makes the place look bad," said Gastfriend, who has consulted with several states, cities, and foreign countries on addiction issues. He called the report a model for other cities, saying that the task force "seemed to want something that was scientifically valid, meaningful, a true guide to things needed for dealing with this epidemic." He was impressed that the report not only seeks to expand use of medication-assisted treatments like buprenorphine but seeks to track how many get it. "The challenge is, how are you going to implement it? But the fact that they've set these milestones and measures sets expectations," Gastfriend said. "Now it is up to the political leadership." The final report makes 18 recommendations in four areas, and includes metrics to measure progress.